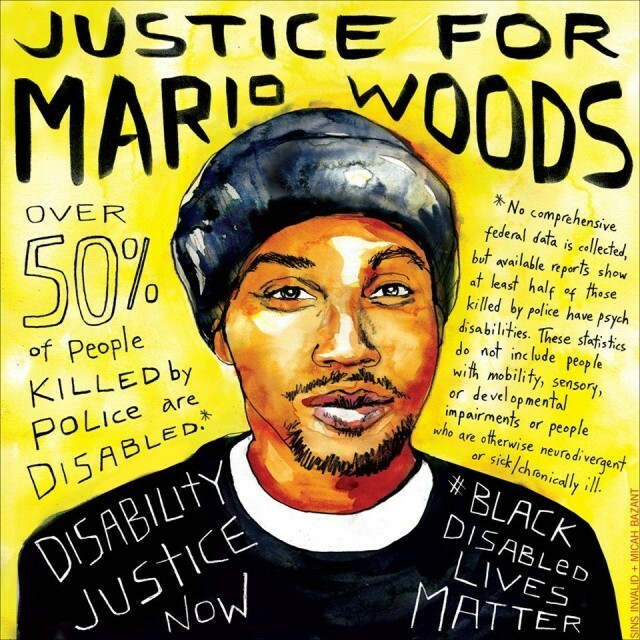 According to an autopsy report released Feb. 11 by San Francisco Chief Medical Examiner Michael Hunter, the five San Francisco police officers who killed Mario Woods put a total of 20 bullets into his body, many from behind, and one additional “probable gunshot graze wound” to his right cheek. (San Francisco Chronicle, Feb. 11) Investigators found at least 27 bullet shell casings at the scene. The firing-squad-style execution on Dec. 2 was captured by three eyewitness videos. Hunter found Wood’s cause of death to be multiple gunshot wounds to his head, back, abdomen, buttocks, legs and hands. Woods also had four clear bruises from beanbag rounds also fired by San Francisco Police Department officers. SFPD Chief Greg Suhr tried to claim the usual “police were in fear of their lives” at a town hall called two days after the shooting. Displaying an enlarged frame from one of the videos showing Woods with his arms extended, Suhr claimed it showed that Woods was pointing a small kitchen knife at the officers. The slow motion playback of the same video proved the first shot was fired before Woods’ arm was extended. On Jan. 21, even San Francisco Mayor Ed Lee, bowing to the ongoing community anger over Woods’ killing, was forced to call for a federal investigation into Woods’ death and SFPD practices. Just the day before, on Feb. 10, Chief Suhr had brought out a revised proposal to equip some officers with Tasers or stun guns. Tasers are proposed as nonlethal alternatives to guns but have proven to be fatal; the Washington Post revealed that 48 people died in 2015 alone after being tased by police. Many are enraged that the police chief is using the killing of Woods to justify reintroducing the proposal, which had previously been defeated by community campaigns. The community, led by Black activists in the Bayview Hunters Point neighborhood where Woods was killed, has been unrelenting in keeping the pressure on for justice for Woods. Demands include prosecuting the five cops who killed Woods, the firing of Chief Suhr and the resignation of Mayor Lee. 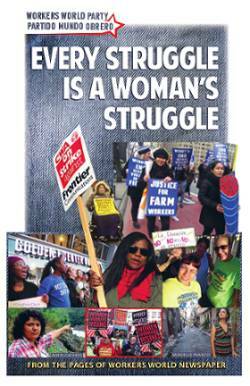 Ronnisha Johnson and Rheema Emy Calloway of Black Lives Matter Bay Area bought tickets to the Feb. 7 Super Bowl with the intent to get international publicity for Wood’s case, in juxtaposition to the multimillion dollar spectacle of the game. They succeeded in getting some of Beyoncé’s dancers to hold a sign after the halftime show reading “Justice for Woods” and, with raised fists, chanting the same. The dancers were dressed in all black, sporting Black-Panther-style berets, in what is widely regarded as Beyoncé’s tribute to the 50th anniversary of the founding of the Black Panther Party.